Introduction: Infertility is one of the problems faced by many couples in society and one of the treatment methods that are being performed in our country for many years is donation of gametes. Considering the importance of maintaining the physical and mental health standards for donors and the lack of a comprehensive study on the personality characteristics of donors in our country, we decided to help solve these challenges with a research. Material and Methods: In this cross-sectional study, by attending the Royan Institute, after giving necessary explanations to all those who were attending that center to donate egg, the TCI was filled out by those who volunteered. Data were analyzed using SPSS 21 software. Results: The highest motivations for egg donation were stated to be financial issues (48%). In the study of personality characteristics, there was a significant difference between dimensions of self-transcendence, self-directed, persistence, avoidance of harm, and cooperation between these individuals and control group. There was also a significant difference between the two groups regarding history of attending a psychiatrist, history of drug treatment, and history of psychiatric counseling. Conclusion: In this study, egg donors were more cooperative, more persistent and more self-directed. In terms of innovativeness and reliance on rewards, there was no significant difference with the control group, but in the self-transcendence dimension and avoidance of harm, they obtained fewer score than the control group. Infertility is generally undesirable in most countries, particularly in cultures where social base and welfare of the family are dependent on the number of children, or in African countries where childbearing is one of the main reasons and goals of marriage, infertile couples face many problems about this. Obviously, social pressure for having a child leads to psychological, physical and social suffering. Particularly for women whose maternal role is an element of their base and identity and having a child is a source of women’s power in family and society; it is natural that they face a lot of psychological, personality and social harm by losing it. Since latter half of the 20th century, significant advances are made in fertility helping technologies. Gamete donation is one of the methods that have been used to treat many infertile couples. Some infertile women are unable to produce a healthy egg due to ovarian inactivity but they have a healthy uterus and have an opportunity to become pregnant by being donated an egg from a healthy woman. Some donors called Patient Donors agree to donate some of their eggs as part of their infertility treatment process. Some other non-patient donors do this as volunteers with purely humanitarian motives. Motives of donation of some others is financial issues, and some have both financial and humanitarian motives. Some also do this in order to help scientific and research process. Despite the fact that a diverse range of interpersonal relationships and psychological problems are created during this process, there has not yet been a comprehensive study on the personality characteristics of gametes donor women in Iran. Therefore, the investigation of the personality characteristics of gametes donating women in Iran is essential and important. The purpose of this study was to investigate the personality characteristics of egg donors with control group women who attended Royan Research Center in Tehran. This is a cross-sectional study that was carried out during March 2018. Sampling method in this study was available sampling method that included 75 volunteers of egg donation attending egg donation unit in Royan Research Center. The inclusion criteria for the population included age, non-use of sedative and anti-anxiety drugs, and lack of addiction. The control group was chosen in appropriation with the donor group. All the individuals entering the statistical population, after being provided with sufficient explanation for the research, were excluded from the study if they were reluctant to participate. Written consent form was taken from all the participants and the information obtained is classified. The data gathering tool in this study is the standard TCI. The TCI test, also known as the Cloninger Inventory, has been translated into Persian in Iran and its psychometric characteristics have been carried out by Kaviani and Pour Naseah in 2005. The reliability of this inventory was obtained in the range of .73 for the dependent remuneration scale up to .90 for self-direction scale. The Cronbach’s alpha ranged from .55 for the resilience scale up to .84 for self-direction scale. The data collected was analyzed by SPSS version 21 software. The filled inventory was coded by individuals after completion and analyzed in the statistical software SPSS 21. From among the total respondents in the control group, 50% had diploma or lower degrees, 30% had associate’s degree, 12.5% had bachelor’s degree and 17.5% were master’s degree. From among the total responders in the egg donor group, 93.3% of them had diploma or lower degrees, 3.3% had associate’s degree, 1.7% had bachelor’s degree and 1.7% had master’s degree. From among the total respondents of the control group, their mean age was 30 and their standard deviation was 4.59. From among the total respondents of egg donor group, their mean age was 29 and their standard deviation was 3.48. From among the total respondents in the control group, 46 individuals (76.7%) were without abortion, 11.7% had one abortion, and 11.7% had two and more abortions; the average abortion rate was 0.35% and its standard deviation was 0.684. From among the total respondents in the egg donor group, 52 cases, that is, 86.7% had no abortion, 11.7% had one abortion, and 1.7% had two and more abortions. The average abortion rate was 0.15 and its standard deviation was 0.404. Also, the average number of egg donations was 1.25 and its standard deviation was 0.679. From among the total number of respondents, 29 individuals, that is, 48.3% reported a financial motive to donate their eggs. 6.7% had humanitarian motives and 45% had both humanitarian and financial motives [Table 1]. Table 1: Frequency distribution of respondents in terms of the motives to donate eggs. From among the total respondents in the control group, 17 individuals, that is, 28.3% had a history of referral to a psychiatrist, and 43 individuals (71.1%) had no history of referral to psychiatrist; from among the total respondents in the egg donor group, 12 individuals, that is, 20% had a history of referral to psychiatrists, and 48 individuals, that is, 80%, had no history of referral to a psychiatrist [Table 2]. Table 2: Frequency distribution of respondents in terms of the history of referral to a psychiatrist. From among the total respondents in the control group, 17 individuals, that is, 28.3% had a history of psychiatric counseling and 40 individuals, that is, 66.7% had no history of psychiatric counseling. From among the total respondents in the egg donor group, 5 individuals, that is, 8.3% had a history of psychiatric counseling, and 55 individuals, that is, 91.7% had no history of psychiatric counseling [Table 3]. Table 3: Frequency and percentage of frequency of history of psychiatric counseling of respondents. Also, the values of T scores in terms of the two control groups and the donor group were presented in Table 4. According to the results, there was no significant difference between the control group and the egg donor group in terms of innovativeness and remuneration, and the significance level was greater than 0.05; as a result, this difference is disannulled with 95% confidence. Table 4: Frequency and percentage of frequency of values of T scores of respondents. The mean of the control group’s scores in the dimension of cooperation is 71.3 and its standard deviation is 7.81, but the mean of the donors group in this dimension is 77.6 and its standard deviation is 7.02; the t-statistic value is equal to -4.64, and its significance level is 0, so, with 99%, it can be said that there is a significant difference between the two groups in terms of cooperation. The mean of the control group’s scores in the vulnerability dimension is 48.8 and its standard deviation is 9.57, but the mean of the donor group in this dimension is 43.36 and its standard deviation is 9.44; the t-statistic is 3.13 and its significance level is equal to 0; therefore, with 99%, it could be said that there is a significant difference between the two groups in terms of vulnerability. The mean scores of the control group in the persistence dimension are equal to 31.84 and its standard deviation is 3.54. However, the mean of the donor group in this dimension is 35.08 and its standard deviation is 4.88; the t-statistic is -4.16 and its significance level is equal to 0, so with 99%, it can be said that there is no significant difference between the two groups in terms of persistence. The mean scores of the control group in self-transcendence dimension are equal to 46.87 and its standard deviation is 8.82, but the mean score of the donor group in this dimension is 50.38 and its standard deviation is 6.58. The t-statistic is -2.47 and its significance level is 0, therefore, with 99%, it can be said that there is a significant difference between the two groups in terms of self-transcendence [Table 5]. Table 5: Difference in personality dimensions in the control group and the egg donor group. The mean scores of the control group in the self-direction dimension is equal to 58.25 and its standard deviation is 14.28, but the mean of the donor group in this dimension is 66.62 and is standard deviation is 10.7 the t-statistic is -3.63 and its significance level is equal to 0; therefore, with 99%, it can be said that there is a significant difference between the two groups in terms of self-direction. In a study conducted in 2014 among donors from 11 European countries, 1423 individuals participated. Their average age was 27.4 years. 55.4% of these people were their first time of donation; most of them had partners and children, and claimed their motive of donation to be helping others. While in our study, all respondents in the control group, had a mean age of 30, and the total responders in the egg donor group, had an average age of 29. No significant difference was found between the two groups in terms of the innovativeness, as well as remuneration dependence. The egg donor group obtained significantly lower scores than the control group in the dimensions of vulnerability and also self-transcendence. There was a significant difference between the two groups in the dimensions of cooperation, persistence and self-direction, and all the three dimensions in the egg donor group obtained higher scores. These results are somehow consistent with the results of Clack et al. In the study published by Sydsjo et al. in 2011 in Sweden, in which the characteristics of egg donor volunteers were investigated, the results were reported as follows: 181 women from 221 donation volunteers were enrolled between 2005 and 2008. It was stated that 69% of them had biological offspring and according to the TCI test, the donors had less harm avoidance higher persistence than the control group. The study found that the personality characteristics of these individuals are within the normal range. Also according to our research results, up to 99% it can be said that there is a significant difference between the two groups of control and gametes donors in terms of vulnerability characteristics, which is consistent with the study by Sydsjo et al. In various studies, the motives of those who volunteer to donate gamete are dealt with. In a study titled as Demographic Characteristics of Women Participating in the Egg Donation Process by Paulson et al., the primary motive for most of these people of the donation process was humanitarian. Most of the participants in this study were employed married women and of social middle class. In our research, about 68% of the gametes donors were employed married women, where from among the total respondents, 29 individuals, that is, 48.3%, reported the egg donation motive to be financial, which is somewhat different from the results of the study by Paulson. Egg donors were more cooperative, more persistent and selfdirected individuals. In terms of innovativeness and dependence on remuneration, there was no significant difference with the control group, but in the self-transcendence dimension and harm avoidance, they obtained fewer score than the control group. Makvandi A, Mazaheri Meybodi A, Hafezi M. Evaluation of psychiatric disorders. Axis 1 in Ovum Donor Women. J Res Med Dent Sci. 2018;6:113-117. Knopman JM, Noyes N, Grifo JA. Cryopreserved oocytes can serve as the treatment for secondary infertility: a novel model for egg donation. Fertility and Sterility. 2010;93:2413-e7. Leflot G, Onghena P, Colpin H. Teacher–child interactions: relations with children's self-concept in second grade. Infant and child development. 2010;19:385-405. Taheri R, Zandi ghashghaei K, Honarparvaran N. The comparison of relationship between family communication patterns and self-concept with coping styles in male and female students. 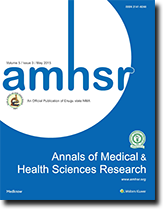 Armaghanedanesh, Journal of Yasuj University of Medical Sciences. 2012; 17:359-69. Carter J, Applegarth L, Josephs L, Grill E, Baser RE, Rosenwaks Z. A cross-sectional cohort study of infertile women awaiting oocyte donation: the emotional, sexual and quality-of-life impact. Fertility and sterility. 2011;95:711-716. Pasha G, Naderi F, Akbari SH. Comparison of body image, body build index, general health and self-concept between beauty surgery those who have done beauty surgery and ordinary people in Behbahan. Journal of Social Psychology (New Findings in Psychology). 2008;2:61-80. Souter VL, Hopton JL, Penney GC, Templeton AA. Survey of psychological health in women with infertility. Journal of Psychosomatic Obstetrics & Gynecology. 2002;23:41-49. Sanamnejad G, Pashavi G, Oftadehal M, Ostadhasanloo H, Khodayarifard M, Aryan K, et al. Emotional intelligence and self-concept in people with and without failure in love. Procedia-Social and Behavioral Sciences. 2011;30:1447-1451. Lessor R, Cervantes N, O’Connor N, Balmaceda J, Asch RH. An analysis of social and psychological characteristics of women volunteering to become oocyte donors. Fertility and Sterility. 1993;59:65-71. Widge A. Seeking conception: Experiences of urban Indian women with in vitro fertilisation. Patient Education and Counseling. 2005;59:226-233. Pennings G, De Mouzon J, Shenfield F, Ferraretti AP, Mardesic T, Ruiz A, et al. Socio-demographic and fertility-related characteristics and motivations of oocyte donors in eleven European countries. Human Reproduction. 2014;29:1076-1089. Sydsjö G, Lampic C, Brändström S, Gudmundsson J, Karlström PO, Solensten NG, et al. Personality characteristics in a Swedish national sample of identifiable oocyte donors. BJOG: An International Journal of Obstetrics & Gynaecology. 2011;118:1067-1072. Klock SC, Stout JE, Davidson M. Analysis of Minnesota Multiphasic Personality Inventory-2 profiles of prospective anonymous oocyte donors in relation to the outcome of the donor selection process. Fertility and sterility. 1999;72:1066-1072. Reh A, Amarosa A, Licciardi F, Krey L, Berkeley AS, Kump L. Evaluating the necessity for universal screening of prospective oocyte donors using enhanced genetic and psychological testing. Human reproduction. 2010;25:2298-2304. Paulson RJ. Oocyte donors: A demographic analysis of women at the University of Southern California. Human Reproduction. 1992;7:726-728.